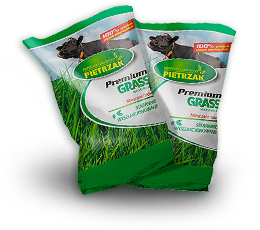 Grass mixture intended for seeding along highways and in urban areas. 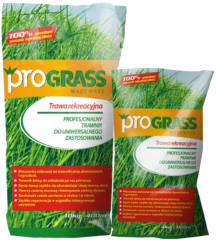 Very strong and durable grass species, provide a great lawn. It is a mixture of grasses, which do not require frequent care. Provides a very quick green growth and very negligible presence of weeds. Strong rooting lawn guarantee a permanent structure and minimizes the risk of landsliding escarpments and bearing the costs associated with the repair. The mixture is a very efficient and cost-effective. It's perfect and safe solution for large high-investment. Soils with poor structure, dry and with a significant shape & angle land surface require a special mixture of grasses with a high content of tall fescue. In this way, well rooted, land begins to get new, more compact features, thus enhancing slope, stockpile or dump. This is a long-term resident, resistant to drought and harsh weather conditions. Does not require special treatment and care. Provides a quick and lasting results in a short period of time after sowing. Ideally suitable wherever where is need to sow the extensive green areas, such as parks or large residential lawns. Due to its universal properties - the mixture of grasses is suitable for use in places with diverse characteristics, both in terms of soil type and conditions arising from sunlight or temperatures in your location. Their features are - high resistance and free growth, which is very important to this type of use.